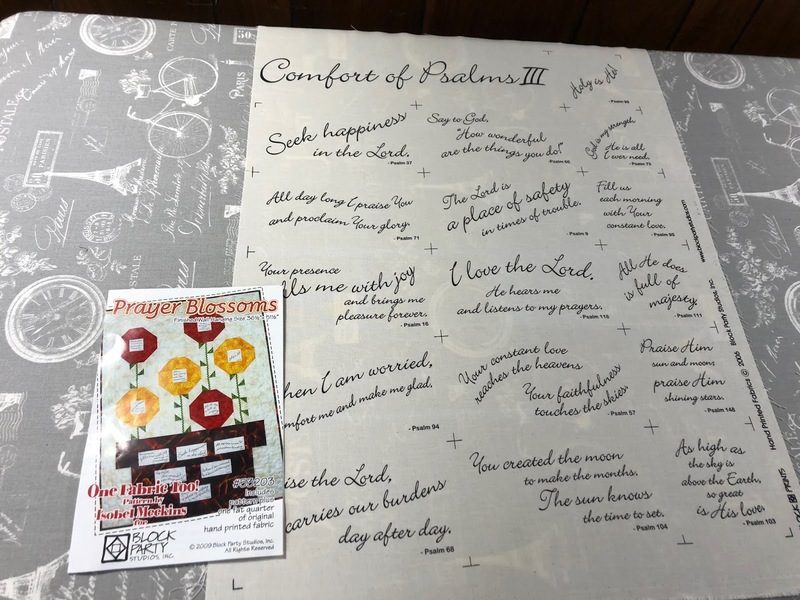 Debby Brown Quilts: Does This Spark Joy? I'm hard at work in my sewing room this month and unearthing all kinds of buried treasures. Some I'm thrilled to restart and look forward to finishing. Others... notsomuch. It's a pattern for a flower wallhanging with a FQ of printed Psalm passages. I know that I don't want to make this quilt, but I wonder about the fabric. What do you think of me using these as quilt labels for appropriate recipients if I add my name and year to each block? 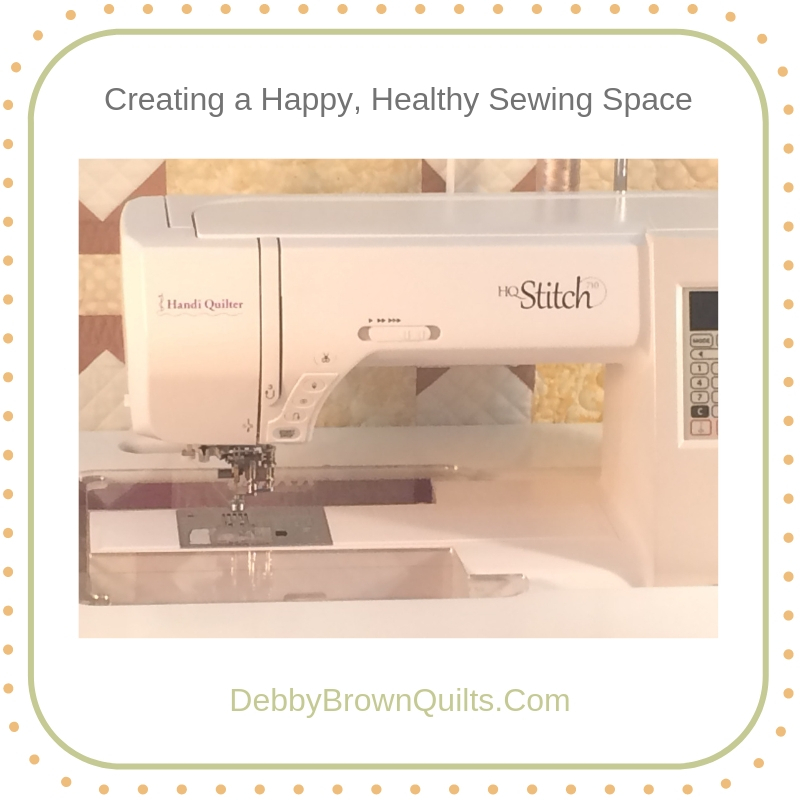 Are you working on clearing out your sewing space? What's your favorite buried treasure you've unearthed thus far? I am like you. 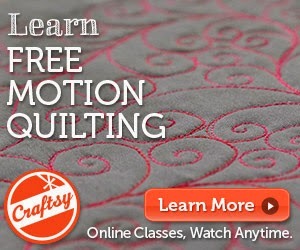 I don't think I would make that pattern but the fabric is certainly worth re-purposing. I like the idea of quilt labels.